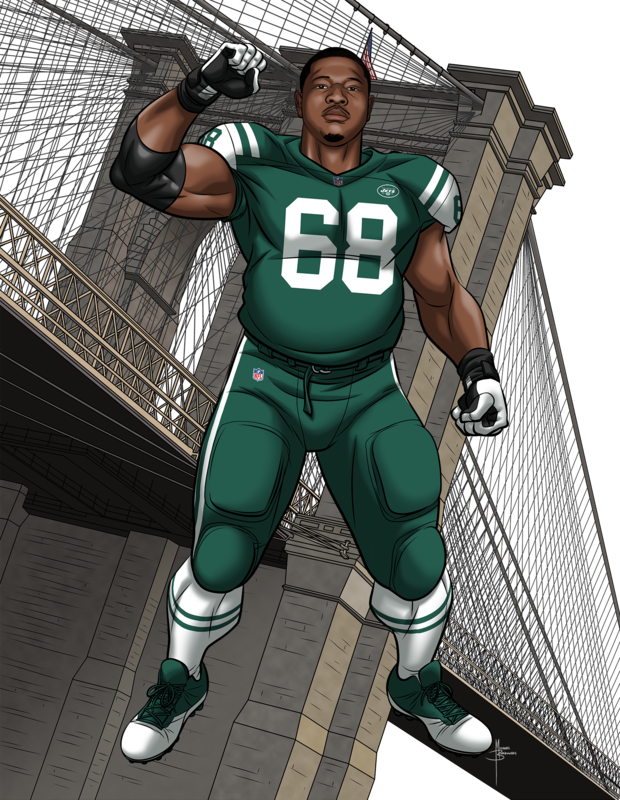 Using their ultra-super powers for good, NFL players around the league have dedicated their lives to protecting their communities and saving the world. When they’re not scoring touchdowns or tackling for loss, NFL players are finding ways to serve their hometowns and team cities – even during the season when time off the field is very limited. Because of this, each week during the regular season, the NFLPA #CommunityMVP program recognizes one player who has demonstrated a commitment to making a positive impact in his community. 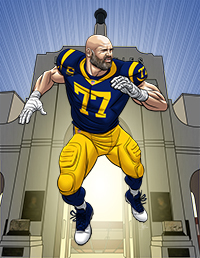 The weekly Community MVP winners will also become eligible for the NFLPA Alan Page Community (APC) Award, which is the highest honor that the NFLPA can bestow upon a player.​ Congratulations to our 2019 APC Award winner, Andrew Whitworth of the Los Angeles Rams. With a new city to save, Tyrann Mathieu blessed 250 Houston kids with backpacks and school supplies. 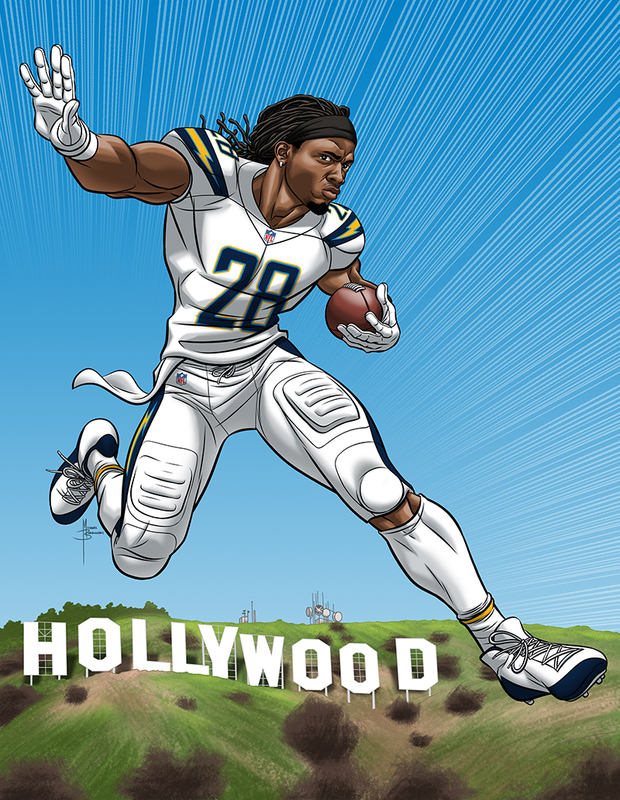 In the spirit of 9/11 Day, Melvin Gordon was a hero for the hungry by taking part in the Los Angeles Meal Pack. 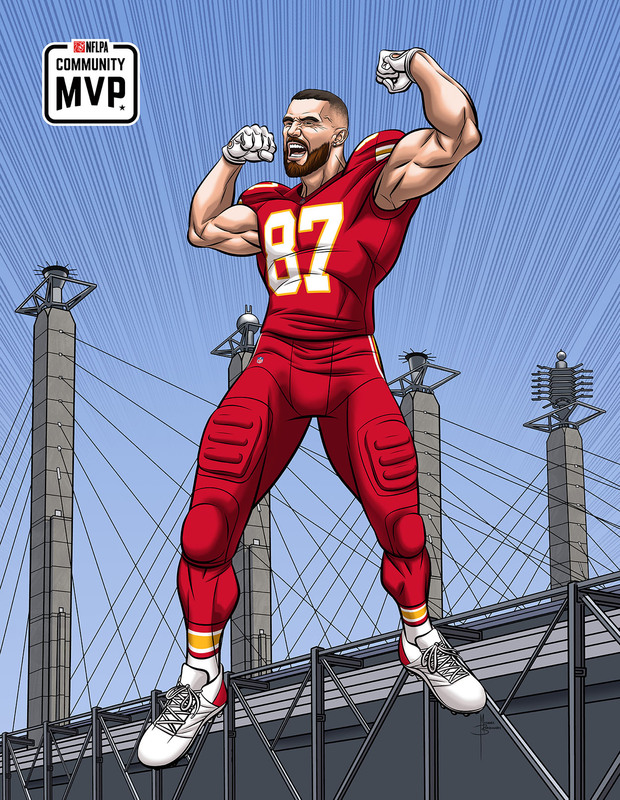 Travis Kelce opened up a new robotics lab to help underprivileged youth power up to their dreams. 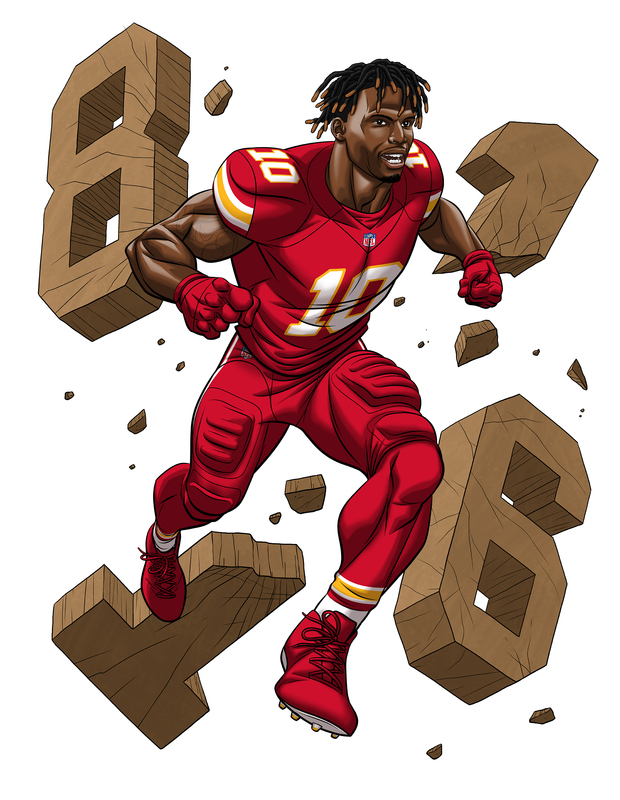 Using his superhuman speed, Tyreek Hill bagged and delivered groceries for 125 local families in need. 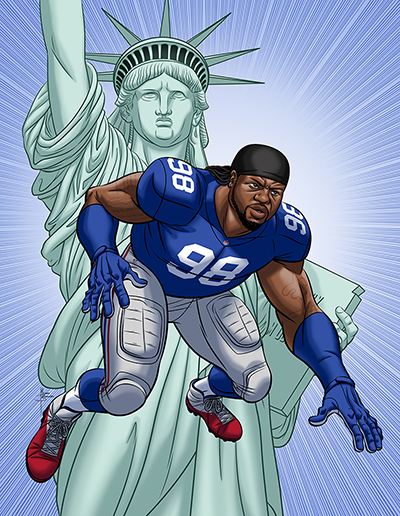 When Hurricane Florence left hundreds displaced, Damon Harrison answered the call by contributing to the recovery efforts. Kelvin Beachum fought the good fight against hunger by raising more than $70,000 to serve nearly 340,000 meals in honor of World Food Day. 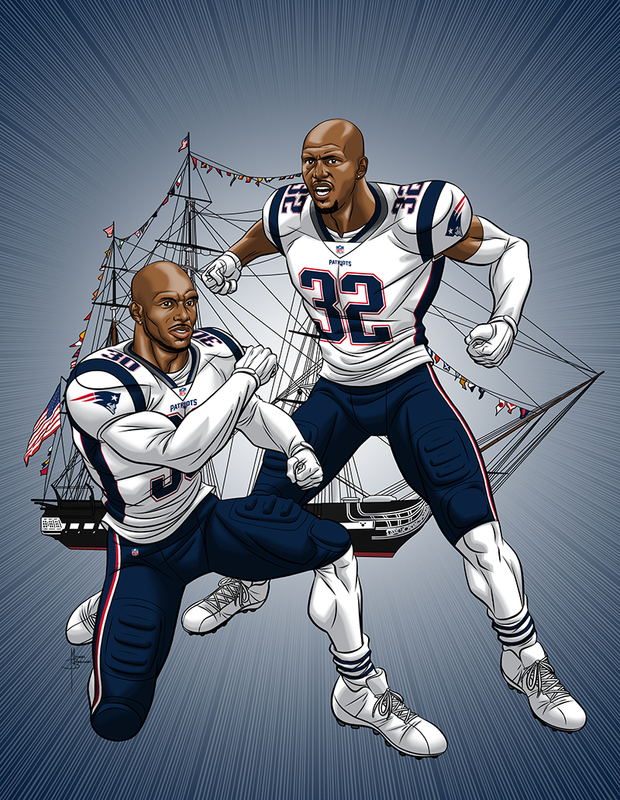 Devin and Jason McCourty joined forces to raise $200,000 in their mission to tackle sickle cell disease. 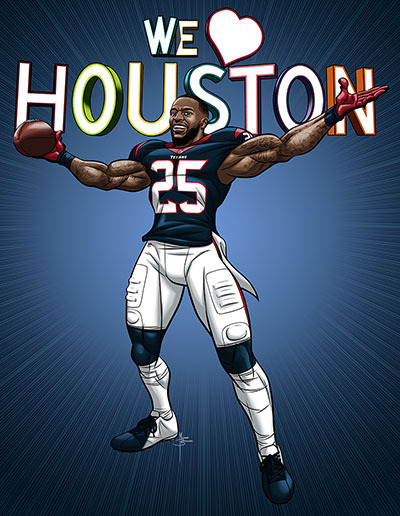 Kareem Jackson leveled up for breast cancer awareness by raising $207,000 and holding a VIP event for survivors of the disease. 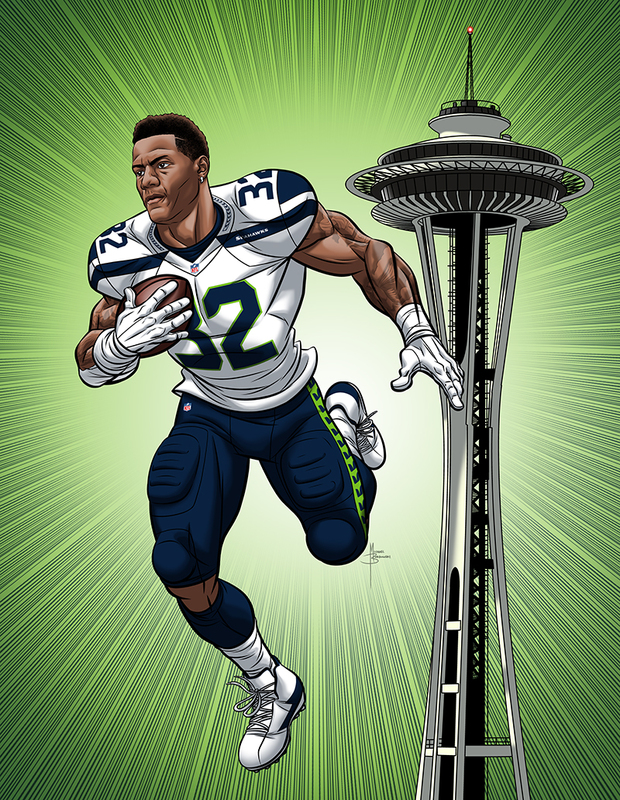 After losing his home in a fire as a teenager, Chris Carson came to the rescue of homeless youth in Seattle by helping raise more than $180,000. 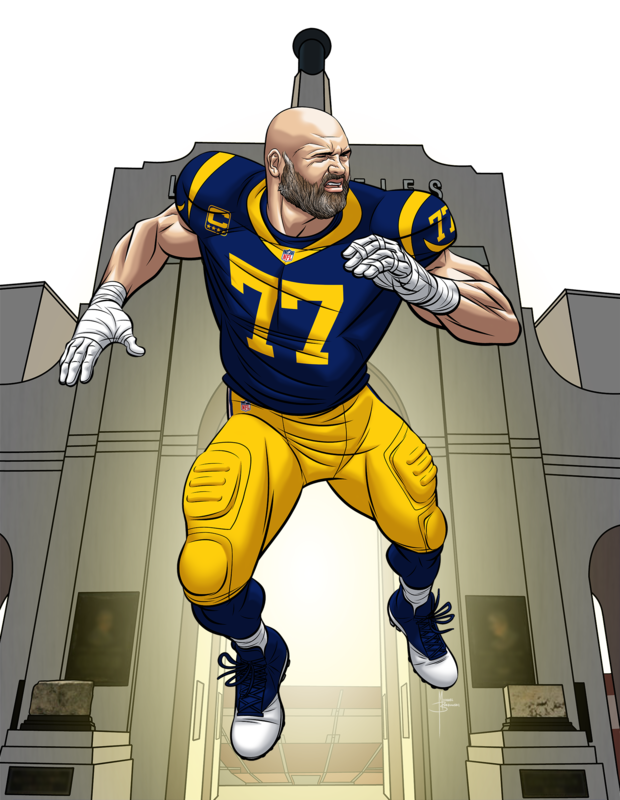 With his city in need following a mass shooting and wildfires, Andrew Whitworth answered the call by donating his game check to the victims and their families. It’s a bird! It’s a plane! 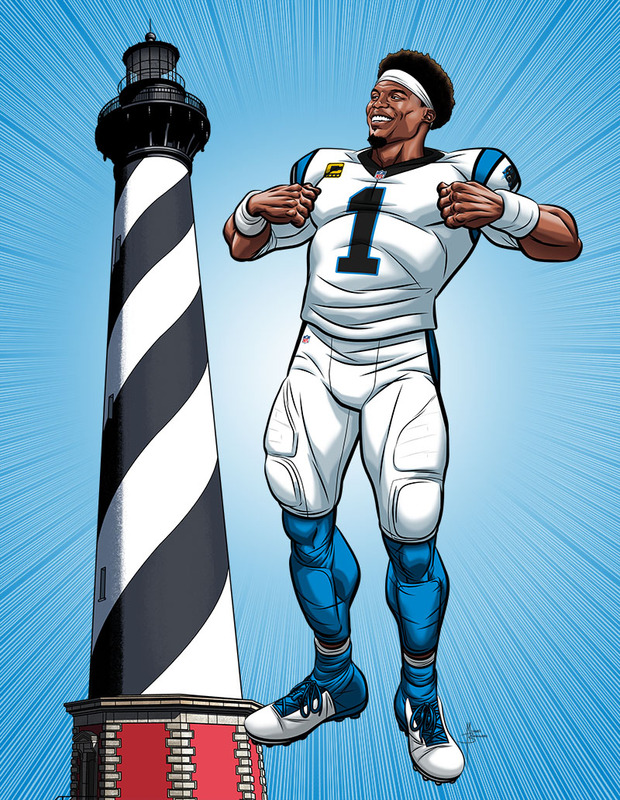 It’s Cam Newton, providing two Thanksgiving meals for more than 1,200 underprivileged kids. 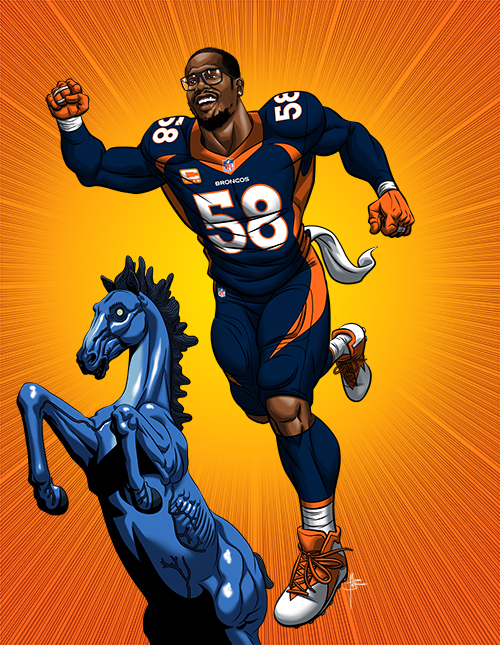 Von Miller used his powers to help give Denver kids the gift of sight, opening a vision center that offers free eyecare. .
Military member Ben Garland gave back to his fellow heroes in the Armed Forces, hosting a fundraiser and dinner for veterans and their families. 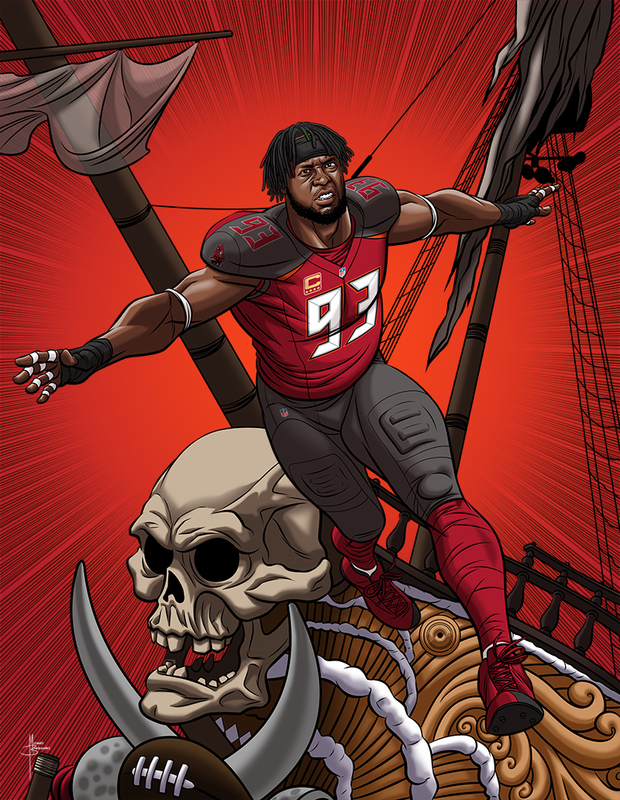 Gerald McCoy spread holiday cheer, launching a foundation for single-parent households and hosting a Christmas event for 40 families in need. 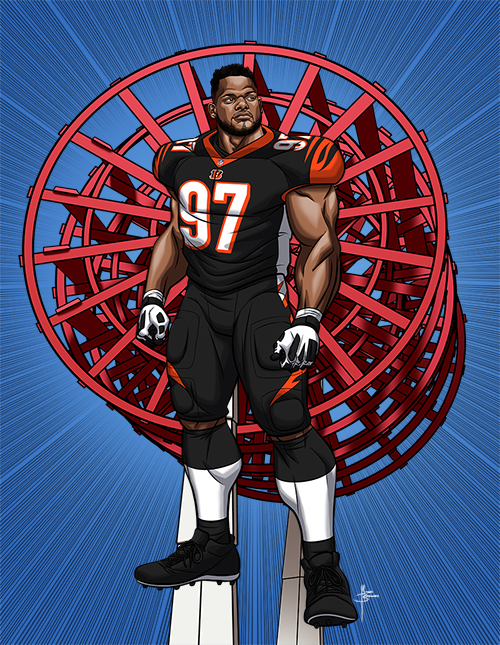 Geno Atkins showed the power of love by surprising 50 families with tens of thousands of dollars in resources and financial aid. 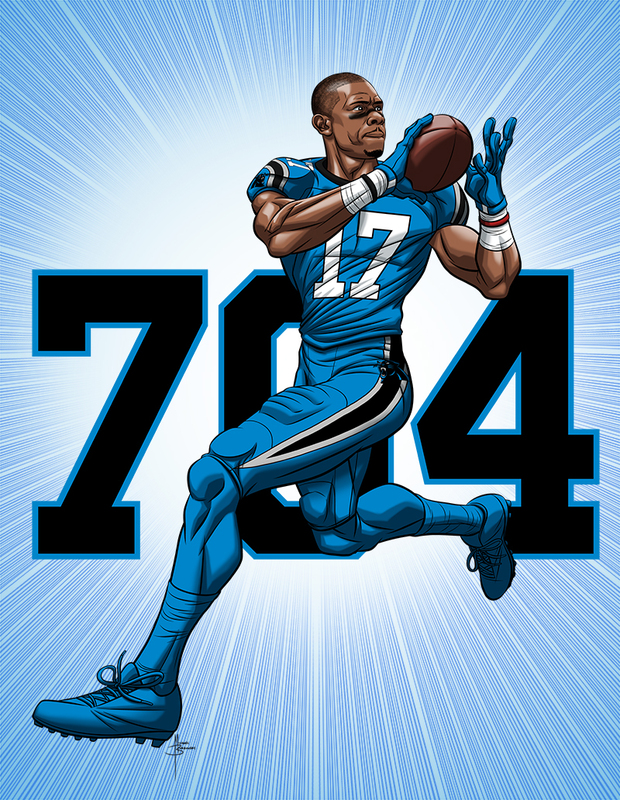 Devin Funchess cooked up some help for those in the community through a charity culinary contest and two toy drives. 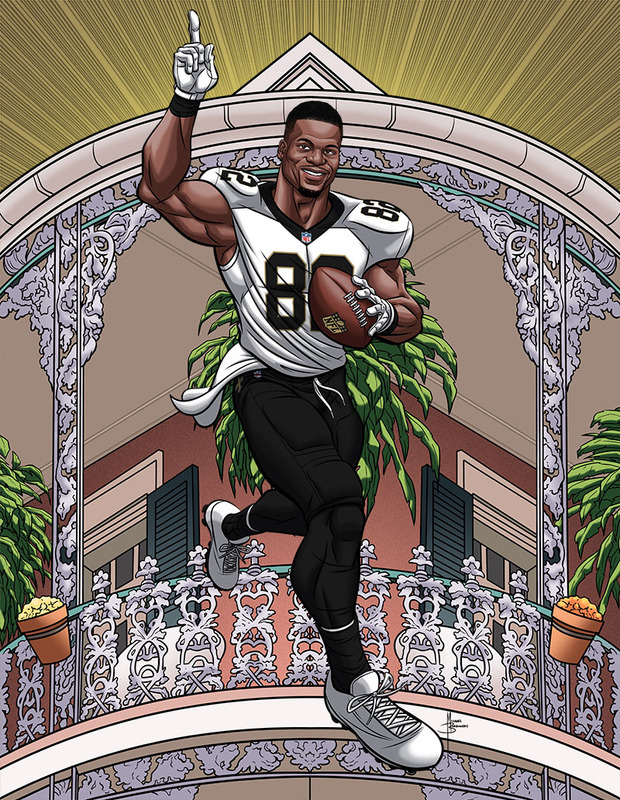 Benjamin Watson helped bring freedom to the less fortunate by generating more than $100,000 for 15 charities. Half Pro Football Hall of Farmer, half Minnesota Supreme Court associate jusitce, Alan Page has always used his powers for good. 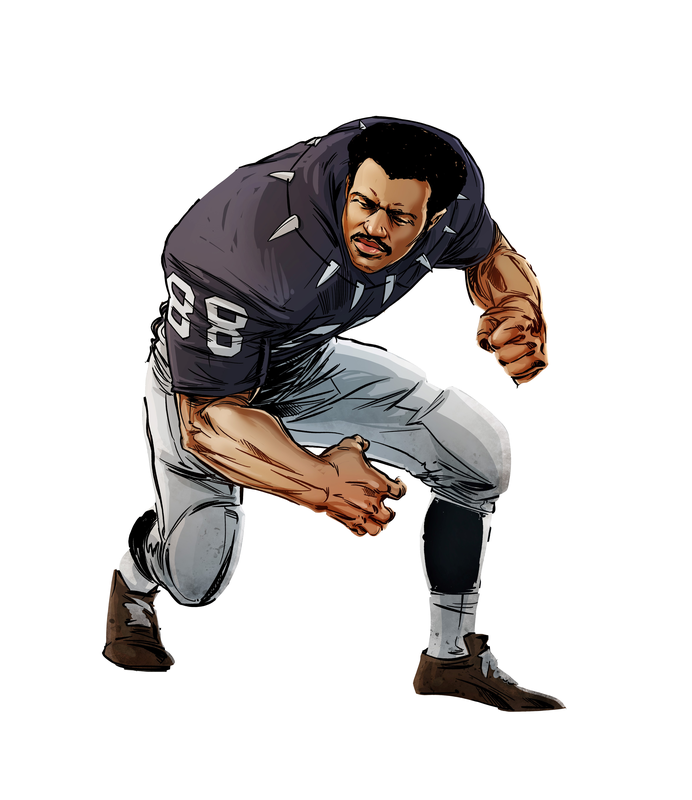 On the field, Page was an unstoppable force, swallowing up quarterbacks and opponents in his hulking grip as part of the Minnesota Vikings' defensive line - better known as the "Purple People Eaters." Possessing an endurance that was out of this world, the All-Pro lineman played in 218 consecutive games and, in 1971, became the first player to win both the Defensive Player of the Year and Most Valuable Player awards in the same season. Along the way, he was never afraid to fight for justice in the league. As an NFLPA player rep (1970-74, 76-77) and member of the union’s Executive Committee (1972-75), Page ensured that player rights were protected and advanced. Gridiron great by day and legal scholar by night, Page earned his law degree from the University of Minnesota Law School and worked at a law firm while still playing in the NFL. After hanging up his cleats in 1981, he soared up the legal ladder until becoming the first African-American elected to the Minnesota Supreme Court, where he served from 1992 to 2015. Although he’s retired from football and the bench, Page is still fighting for good. Through The Page Education Foundation, which was founded by him and his late wife Diane, minority students are provided with financial and mentoring assistance in exchange for the students’ commitment to engage in community volunteer work. The NFLPA Community MVP program recognizes NFL players who are making a positive impact in their local communities. 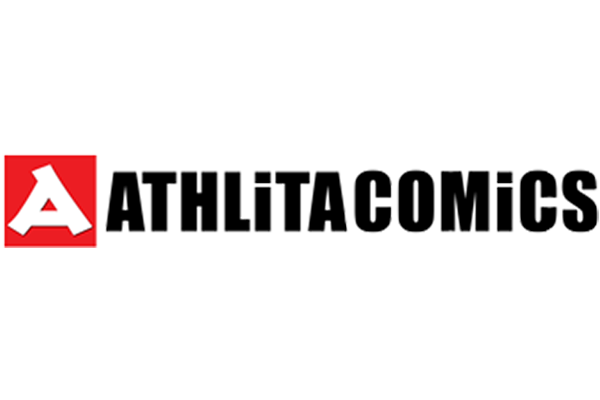 Each week during the regular season, the NFLPA will celebrate one active NFL player who has demonstrated a commitment to giving back to his community. 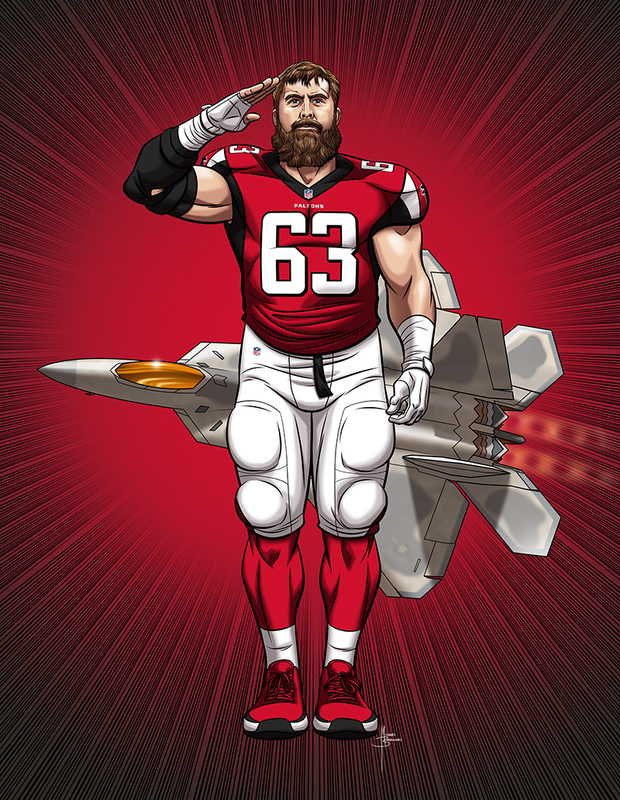 The NFLPA will make a $10,000 contribution to the player’s foundation or charity of choice as well as an in-kind donation by Delta Private Jets to the player for being named the NFLPA Community MVP. All players nominated for the week will be celebrated the following Monday. 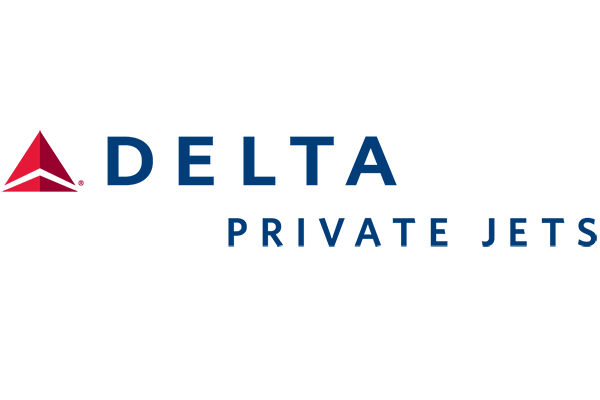 The weekly Community MVP winners will also become eligible for the annual Alan Page Community (APC) Award, which is the highest honor that the NFLPA can bestow upon a player. The APC Award winner, which will be announced in February during Super Bowl week, receives an additional $100,000 for his foundation or charity of choice. The Robin to your Batman. The Pumbaa to your Timon. You couldn't do the great work you do in your community without a supporting cast. These are your presenting partners. NFLPA Community MVPs will be selected by a committee of NFLPA staff. Community MVPs will be announced on Friday of each week. 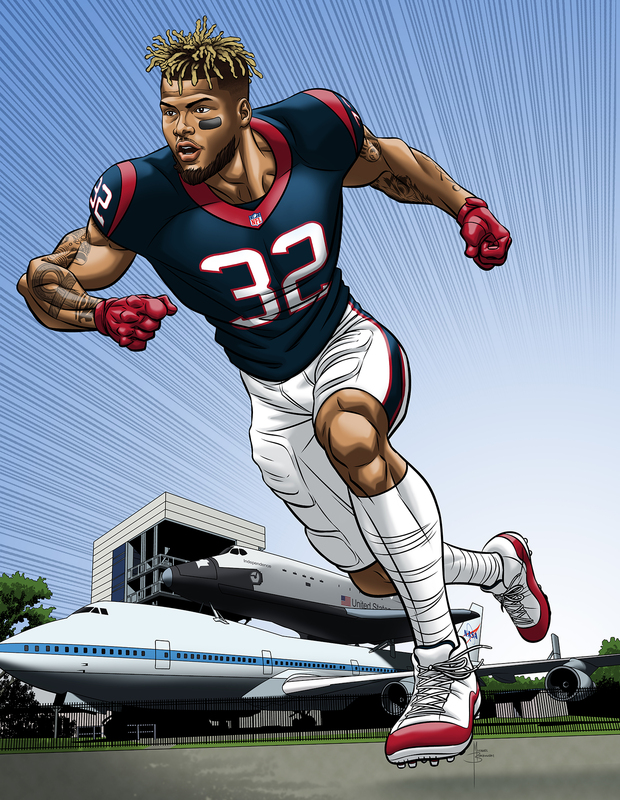 The NFLPA will make a $10,000 donation to the player’s foundation or charity of choice and provide two Delta Private Jets roundtrip plane tickets to the player for being named the NFLPA Community MVP. Each week’s runner-ups will be recognized by name and with a photo and description of their charity work on the following Monday in a social media post as part of a related campaign called #CommunityMVP Mondays. Once a player has been named Community MVP, he is not eligible to win again during the same season. Players will vary by positions and by NFL teams. Players must meet the following criteria to be considered for Community MVP: Charitable/community initiative is organized and led by an individual player and/or his foundation (not an NFL team or sponsor-led initiative). Player should be active with a specific cause or through his foundation. The community/charitable initiative should have taken place within the one-week period (Thursday of the preceding week to Wednesday of the current week) before the Community MVP is announced. Player should have participated in recent community work or held other recent events. From the pool of weekly Community MVPs, a distinguished panel of judges will choose five finalists for the Alan Page Community Award, each of whom will receive an additional $10,000. From those five finalists, the active player membership will vote for the APC Award winner, who will receive $100,000 for his foundation or charity of choice.